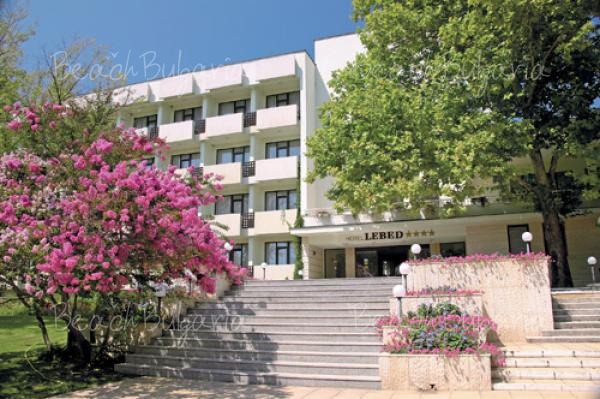 Lebed Hotel is located 200 metres form the sandy beach in Grand Hotel Varna resort. 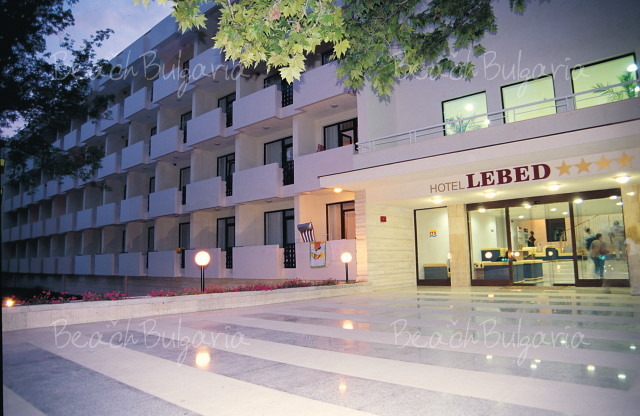 The hotel offers 84 twin rooms, 20 interconnected rooms and 4 junior suites. All rooms offer balcony, fridge, Internet connection, TV SAT and a telephone. Bathrooms are equipped with a shower and a hair-dryer. This is a 4-storey building, serviced by 2 elevators. Enjoy fine International cuisine, children's menu and vegetarian menu in the cosy restaurant. Guests can enjoy refreshing drinks at the pool bar. Coffee-Shop and a BBQ are also available. 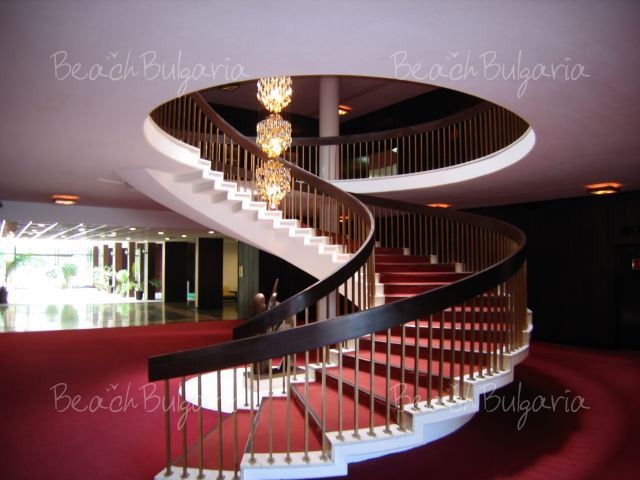 The complex offers modern sport facilities for an active and enjoyable vacation. The sports facilities include tennis court, table tennis, billiards, football, beach volleyball, aerobics and water gymnastics. 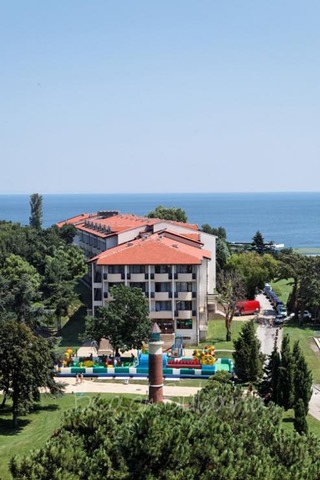 Fun programs and games for children, children's pool, playground, bаbysitter (on request), baby cot, play room (for children over 3 years) are offered in the hotel. * The prices are in Euro, per roomper nght, all inclusive. 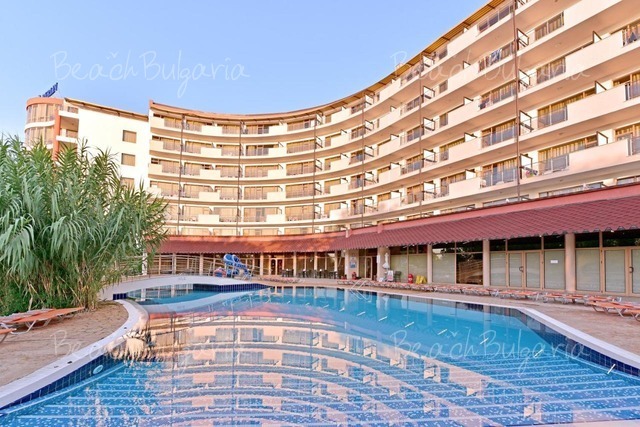 Guests of the hotel can use swimming pool, parasole, sunbed near the pool and on the South beach, fitness, internet, parking and aquapark. 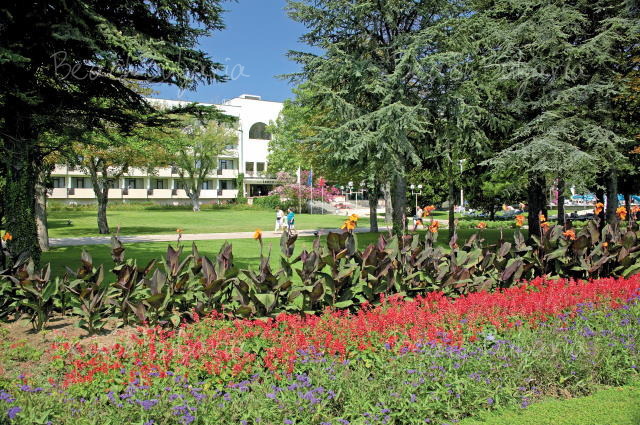 * Cancellations can be made free of charge providing details of this are received at least 20 days prior to check-in time on the day of arrival and 25 days during 01 July - 25 August 2019 - cancellations made after this period will incur a fee equivalent to 100% of the accommodation. 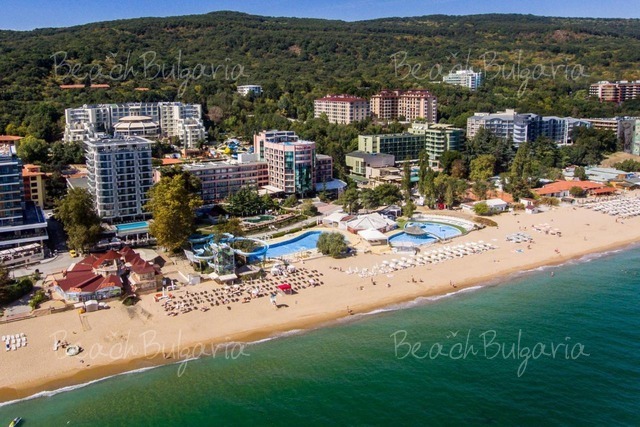 Please, post a comment on Lebed Hotel.